In my last post, I talked about the fact that I had never noticed the Friendmoji button on the Bitmoji keyboard before. Well...it happened again...another instance where I was blind to a button I have likely seen but haven't noticed thousands of times. 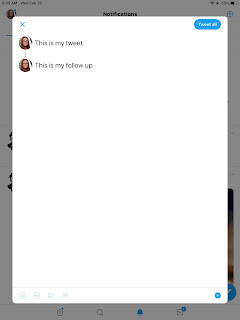 Beside the tweet button (on the web, not mobile), there is a little plus button. Turns out, when you tap that button, another tweet window opens underneath. 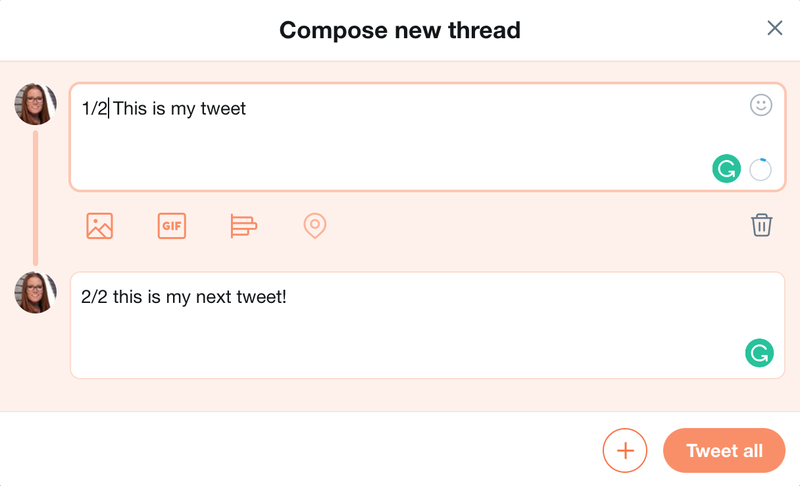 You can type in that new tweet window and, when you are ready, post all tweets at once! 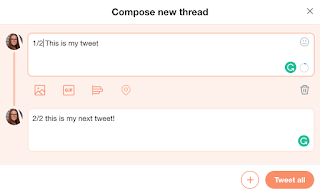 This solves the mystery (to me) of how people have really long tweets all in a row. Full disclosure, I was often amazed that people knew how many tweets their longer message would take. Note: I realise this might be obvious to some, and amazing to others - I fall into the later category! So why am I sharing this? I love how it shows that we can always discover new things in places we have been many times. I also think it shows the importance of paying attention to the details because you never know what little treasures are hiding in plain sight!